If it’s your first time visiting Tokyo you’ll want to get oriented, check out a few of the most famous attractions and get to grips with the transport system! On this custom experience let a Local Host do the navigating and learn the best ways to move around the city. Ask any questions you have about Tokyo and what do to during your trip too! From advice about cultural practices to the best places to find authentic local food, your Local Host will give you a priceless insight into city life and what to do while you’re here. Kickstart your trip and get ready to experience Tokyo like a local! Join a Local Host to explore an area of Tokyo to discover the main tourist sites as well as hidden local gems along the way, seeing the highlights and getting familiar with the city. Follow the unique route which your Local Host has designed specifically for you, either by walking or using public transport so you can get familiar with how to move around the city and how to use the metro. Your Local Host will give your trip a valuable kickstart, helping you to make the most of your time in Tokyo by showing you the highlights in the area that you want to explore and helping you get familiar with the city and its unique culture. 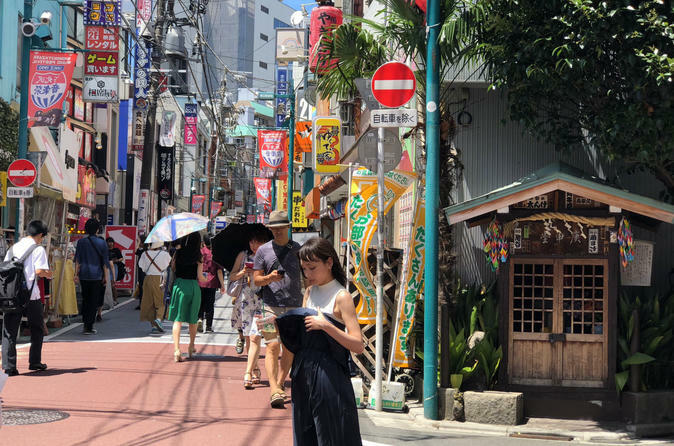 Your Local Host will also advise you on the best way to spend the rest of your trip, enabling you to discover other areas of Tokyo that they know you’ll love, as well as sharing their local travel tips and tricks so you won’t fall into the tourist traps!